home Home arrow_right Forums arrow_right Discussions arrow_right General arrow_right Happy New Year!!!! Woo! I'm not sure why I put a geek-face. Happy new year at 2:08 german time! 4 hours 24 minutes 45 seconds to go here in North Carolina in the Eastern Coast of the USA . Hope everyone has a great New Year!!! Cmon down to the NCPrison!! We are doing a fireworks show+ball drop!!! 2014 will be the last year that the date may appear in numerical order before 2103. By numerical order I mean something like 12/13/14. 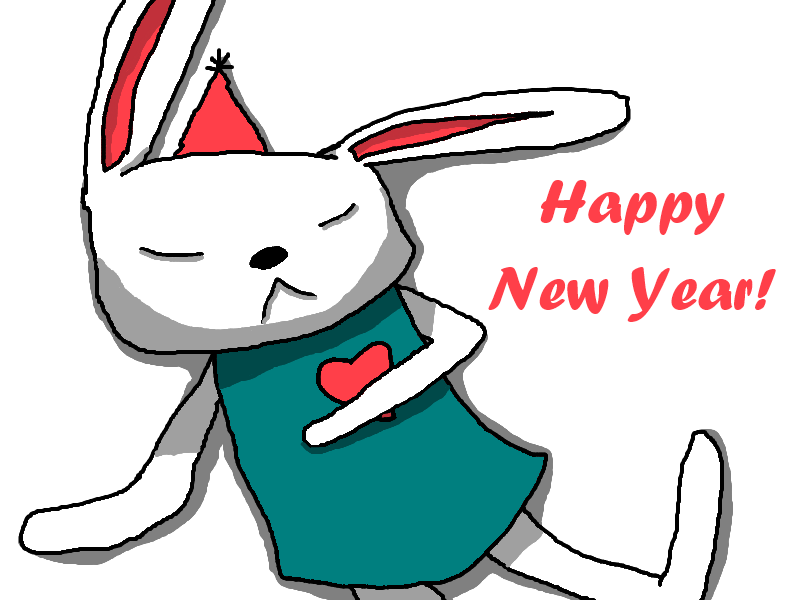 Happy new year from the Bunny! Still not 2014 for me yet, but there are other people out there who are at that point..
We still got 6 minuets to go! HAPPY NEW YEAR FROM SPAIN !!! 19 minutes, 36 seconds and 2 miliseconds left til 2014! Now less! 5 HOURS LEFT btw Happy New Year! Happy New Year to you as well have a great 2014!! !